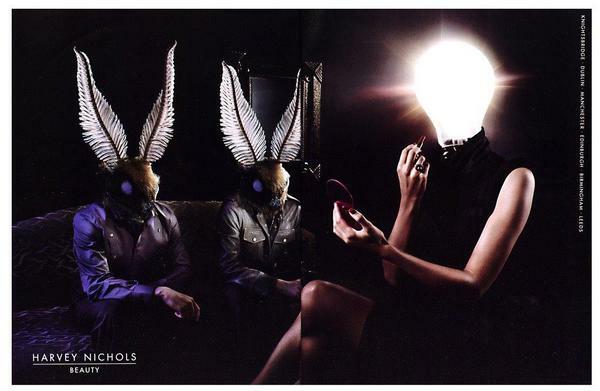 We're sure there's many different levels of inner meaning to these Harvey Nichols ads for its Beauty, Womenswear and Menswear lines sent to us by Adrants reader, Susannah, but we won't bore you with our analysis. Rather, we'll just point you to them and you can interpret them yourselves. DDB London did the ads. I like the concepts they have going. They're not looking at her "face". I dunno why, but I get a kick out of the balloon/pin one. The lightbulb one is just freaky.